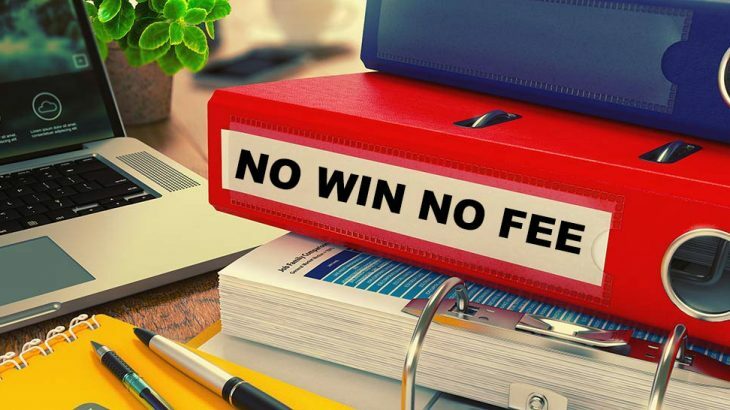 A no win no fee arrangement, also known as no foal no fee, is becoming increasingly common for personal injury claims*. It means that you will only have to pay your solicitor’s fee if you win your case. However, this doesn’t guarantee that the case won’t cost you anything. If your case is settled out of court you will be required to pay. This arrangement is most often used for personal injury claims*. For example, if you have been in a car crash or involved in an accident at work you might want to pursue your claim on a no fee no win basis. While it not legal to advertise no win no fee to personal injury victims, at McSweeney Personal Injury Solicitors*, we will always advise you on what we think is the best course of action to take. Although many personal injury law firms* work on a no win no fee basis, is not legal to advertise this service. It is of course a perfectly legal practice, but it is something for you to discuss with your personal injury solicitor. Lawyers must follow strict guidelines regarding how they advertise their services. So, if you see a company advertising no fee no win services they should be avoided as they do not meet the standards required by the Law Society of Ireland’s Regulations. They may be what is known as a claims harvesting company which seeks out and encourages people to pursue claims. Such companies have been shut down in Ireland but continue to work elsewhere and target potential claimants in Ireland. Even if you have used a solicitor in the past, personal injury claims* are a specialist area so make sure you find one that has relevant experience. Be sure to use a reputable company who conforms to all the appropriate rules and regulations. Make sure your solicitor has plenty of experience in the field of personal injury claims* and preferably ones that are relevant to your case – for example, industrial injury or medical negligence. Take a look at their website and make sure it looks professional and provides clear information. They may have examples of case studies as well as reviews and testimonials which will give an insight into other people’s experience. If you feel happy with what you see, arrange an appointment for an initial face to face meeting to discuss your case. You will also be able to discuss costs in detail. Every case is different so it is not possible to give an off the peg list of prices. A realistic estimate can only be made once the solicitor has a clear idea of the nature and complexity of the case. At McSweeney Personal Injury Solicitors Dublin* we are happy to talk through all the issues to ensure that our clients receive that best possible professional assistance during for what can be a stressful process. Whether it be a car accident claim*, a motorbike accident claim*, a bicycle accident claim* or a pedestrian accident claim*. Get in touch with McSweeney Solicitors for advice today.